This demo song lets you to get a taste of 5 Combinator presets and 4 NN-XT patches. It needs the full version of Reason 6.5 (or higher version). All songs were composed in Reason, using ORANGE4 only. orange luv - song by Patrick Maerker from masslevel. Patrick (aka symbiont) is a veteran Reason user, you can meet his work on the Reason 3 CD (Malström factory patches, demosong). 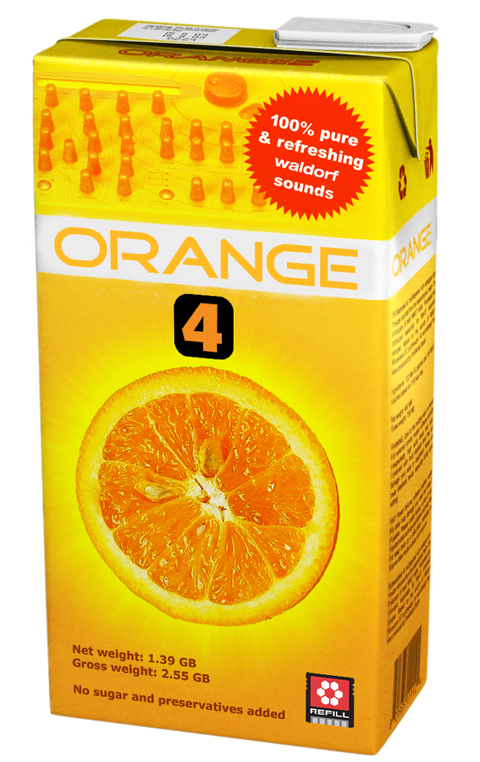 You can check out the sound of ORANGE4.